Transurban has invested $400,000 in a partnership with the Virginia Tech Transportation Institute (VTTI) to launch the Motorcycle Technology Evaluation Challenge (MotoTEC). Motorcyclist fatalities nationwide increased five percent from 2015 to 2016, accounting for 14 percent of all traffic deaths, according to the National Highway Traffic Safety Administration. 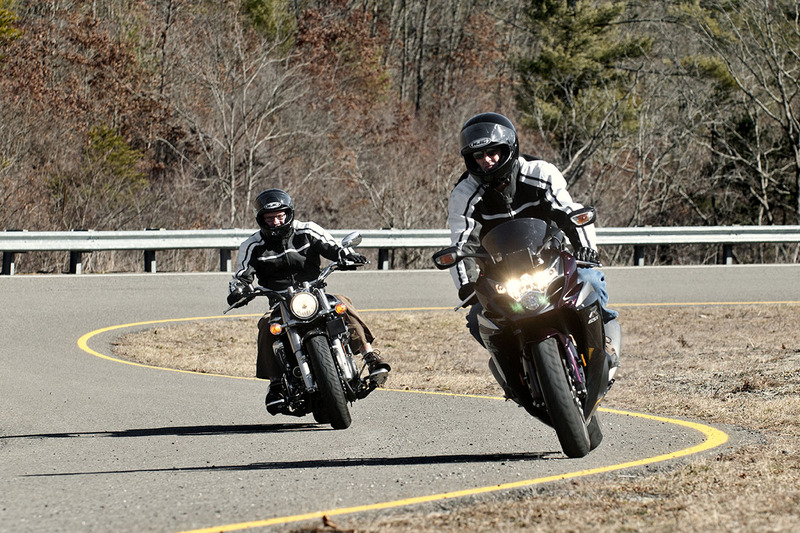 However, riders are often overlooked in the discussion about advanced motorcycle technology. MotoTEC seeks to implement rider-centric research to identify and advance potential new technologies to address the safety and usability needs of riders on the road and around construction work zones. Technology vendors with market or near-market ready motorcycle technologies are invited to submit their innovations and products free of cost to a steering committee comprised of representatives across the motorcycle and transportation industries. The steering committee will review these proposals and select a final technology to undergo testing. VTTI will also work alongside the selected vendor to evaluate the product’s ability to create a better and safer riding experience for motorcyclists. VTTI and Transurban have a history of accelerating transportation innovation, technology testing, and development in Virginia. In 2015, the two organizations in partnership with the Virginia Department of Transportation, the Virginia Transportation Research Council, the Virginia Department of Motor Vehicles, and HERE, launched the Virginia Automated Corridors test bed in Northern Virginia. Transurban also recently announced the launch of pilot technology projects in partnership with two startups identified through its Smart Highways Challenge to improve traffic management and forecasting on its 40-mile, dynamically tolled road network. MotoTEC will be unveiled during a private ceremony on August 7 in Arlington, Va. with officials from the Virginia Department of Transportation, Arlington County, Virginia Tech, as well as industry representatives. Transurban is a global leader in toll road redevelopment, financing, delivery, operations and technology with a network encompassing more than 900 miles of all-electronic toll roads, tunnels and bridges across North America and Australia. At the heart of the company’s business strategy is the desire to be a partner of choice for government clients and to be an organization that meets the needs of its customers. Transurban has built a track record of partnering with governments to successfully deliver key infrastructure and is recognized for developing smarter, safer and more sustainable solutions that meet the long-term transportation needs of growing cities. Transurban’s growing road networks support millions of drivers — its two U.S. roads make up more than 40 miles of Express Lanes in the Washington, D.C. area, one of the nation’s most congested markets. The Express Lanes are dynamically tolled lanes that operate on I-495 and I-95 in Northern Virginia to provide customers with faster and more predictable travel options. The Virginia Tech Transportation Institute conducts research to save lives, time, and money and protect the environment. As one of seven premier research institutes created by Virginia Tech to answer national challenges, VTTI is continually advancing transportation through innovation and has impacted public policy on national and international levels. In 2007, VTTI founded the Motorcycle Research Group with the objective of applying VTTI’s multidisciplinary research capabilities to real-world motorcycle riding. With the help of study participants and customers in the public and private sectors, the group has collected hundreds of thousands of real-world miles in approximately half of the United States.